There is nothing worse than having to wait a week to get your results after your family physician requests laboratory tests. At Cochrane Animal Clinic, we understand that waiting for answers is stressful. For this reason, we are proud to offer in-clinic blood tests that are run while you wait. Whether your pet needs a complete blood cell count or a comprehensive chemistry panel, results are usually available within thirty minutes. 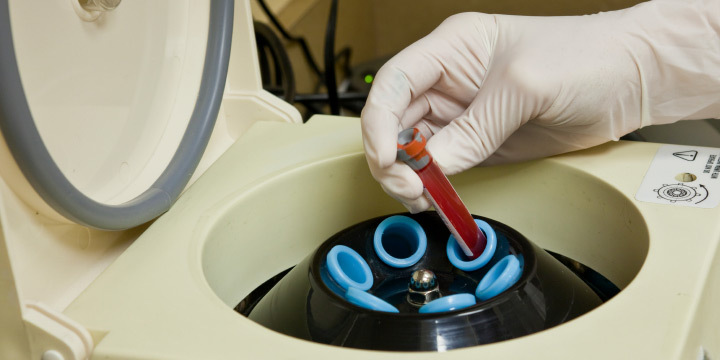 For more advanced cases, we work in partnership with a Calgary laboratory service that usually provides results within 24 hours. Our in-house laboratory is also equipped to quickly diagnose the cause of ear infections, skin disorders, and certain masses and tumors with cytology tests.